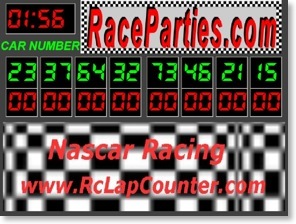 This page is for products used with entertainment attractions such as Micro Reality® type tracks and does not apply for normal hobby and racing usage. 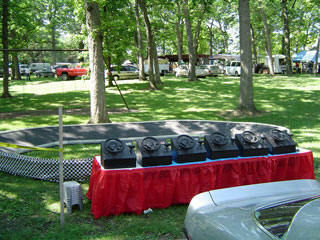 These products are for upgrading Micro Reality® or similar type amusement tracks. We are not affiliated in any way with Namanny Sports & Entertainment, Inc.
NEW! 2.4 GHz Control and Scoring system for ULTIMATE CONTROL AND ZERO GLITCHES . See below for details. 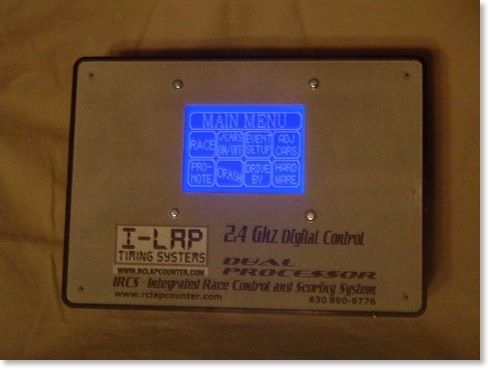 Rental lap-counter software for Micro-Reality® type tracks using I-Lap R/C Timing System. Contact us for info on tracks, cars, driving consoles and components. Take back control of your cars. Our new system is designed from a fresh start with Micro-Reality® racing in mind. Don't settle for the compromises that come with using hobby grade equipment. Our new system was unveiled at IAAPA 2007 and amazed all who saw it in action!If building a new track or updating an existing one - Call us first! Sound effects and videos can be triggered with the touchscreen on the box, as well as the remote. Consoles can be individually disabled so you don't have to turn cars off when younger kids play with the consoles. Craig, your customer service is fantastic. What I mean by that is you have always answer my phone calls immediately to address all my questions and assisted me in setting up our system to meet our personal needs. Our first gig using the system was set up in downtown Las Vegas under the lights for 8 hours of racing during the Vegas Grand Prix. We did not have one problem with the system the whole day. 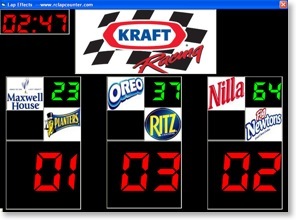 Customers at the end of the race knew who won and understood the race was over. I attribute the lap counter increasing my business 25%. Micro guys, take it from me, if you don't want to keep chasing cars around the track and you really want to have a professional looking track, get this system. Craig, Your lap counter system greatly enhances the operation of my MICRO-REALITY race track. The car sounds attract attention from the passing crowd at public events, producing more drivers. 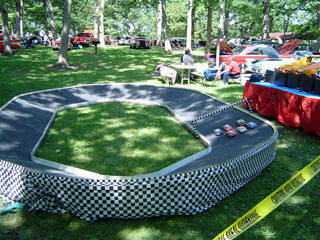 I look forward to incorporating it into private event programs for team building, heat races, etc. The banner section of the score board is great for client messages. The system is easy to setup and operate. Thanks for a great addition to my system! Custom software available. Below is a 3 car version for a promotional track.